Getting out the vote? Keep those constituents refreshed with a stack of red, white, and blue drink tickets with this distinctive Americana design. 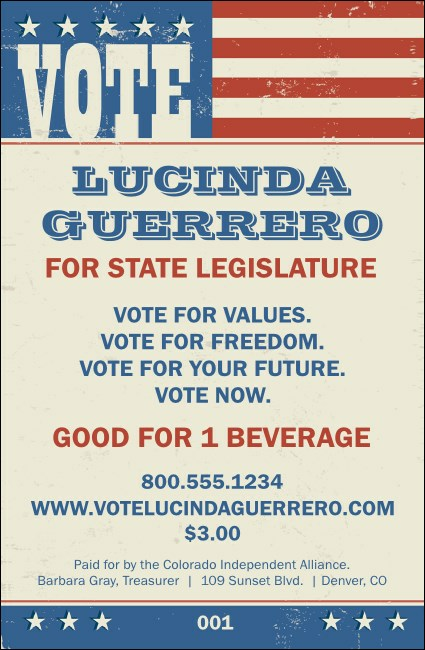 With a weathered look, like an old wood print, it hearkens back to a golden age in American politics, while helping your team distribute beverages in an expedient fashion.